Last week, Professor Thuli Madonsela – patron of our NGO The Peace Agency – spoke at our annual fundraising ball. From everyone who was there, it was an exceptional night and Thuli Madonsela contributed in no small way to this success. A great deal has been written by many – me included – about Thuli Madonsela. But after this night, I wanted to put out a couple of thoughts on what I feel makes this woman so special. The reason for this is two-fold: In terms of the purpose of this column it is to give us ideas of how each of us can respond to our President’s call to Thuma Mina – Send Me. Secondly, it is to honour and publicly pay tribute to an exceptional servant of the Republic. Before diving in, it is worth considering that this person has well over a million followers on Twitter. When she speaks, people listen with rapt attention and when she finishes people rise to their feet in unison and queue up – in numbers – for selfies with her. We auctioned a signed and personalised copy of her book No Longer Whispering to Power and it sold for R11,000.00. As we watched all this going on that night, I turned to my Dad and remarked that this kind of attention is usually reserved for rock stars. So, how is it that this gentle, humble, professorial woman who occupied the office of a hitherto unglamorous and frankly rather anaemic Chapter 9 Institution, is treated like a superstar? The short answer is that she is a superstar. To us South Africans regardless of age, race, gender or political persuasion – this woman is the saviour of South Africa. I am not saying “a saviour”. I am saying “the saviour”. First there was Madiba and then there was Madonsela and they were hewn from the same stone. And I am not using these words lightly or in any kind of gushy, sycophantic way. Trues true. As far as South Africans are concerned, she saved us. Finish en klaar. Now, she will tell you that her team at the Public Protector was a huge part of her success. She regularly pays tribute to the many ordinary South Africans, whistle-blowers and the media for playing their part. But the reality is that the towering morality and courage of Thuli Madonsela caused many of us to find our spines and use whatever we had in our hands to play our part. 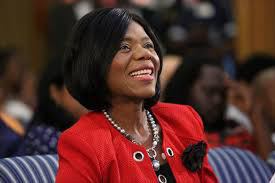 Thuli Madonsela’s presence in the world is a prescient sermon and three things about this sermon stand out for me: Whilst the world clambers for money and power at all costs, hers is a message as old as Love and Wisdom herself; be a candle in the darkness. That’s it. Will your one candle extinguish the darkness? Yes! Yes, it will. I remember confiding in her one day how I was doing battle with privilege in a sea of poverty and inequality. She said: “Enjoy your privilege but use it to help those less privileged.” Simple. Be a candle. Secondly, when you hear Thuli Madonsela speak; when you see how people adore her, you are left in no doubt that good will always, ultimately triumph over evil. She embodies a promise that God never let’s go of the world and that all our travails and miseries are small and will pass as the work of the universe plays out; moving the world and its people forward because of and not in spite of the droughts, the floods, the plagues, the deaths, the famines, the genocides, the Zuptas, Trump, Brexit – you name it. It will all be okay in the end and if it’s not okay, it’s not the end. 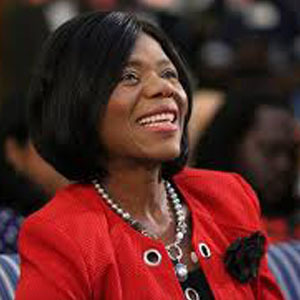 Hope oozes from Thuli Madonsela. Simple. Live with hope. And finally – laugh freely and often. Thuli laughs a lot. This is what happens when you be a candle and when you live with hope. Thank you Thuli. Let us never stop honouring you for what you did for us and what your life continues to teach us. 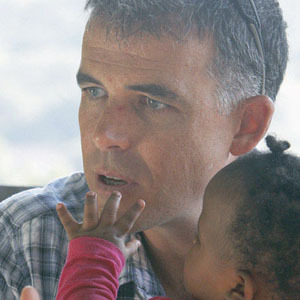 Justin Foxton is founder of The Peace Agency. His writing is dedicated to the memory of Anene Booysens, Emmanuel Josias Sithole and Suna Venter.